If you've been hesitant to schedule a particular surgical procedure for your eyes, perhaps you should feel enthusiastic instead. Modern eye surgery offers greater safety, comfort, and convenience than ever before, not to mention extremely high success and satisfaction rates. But receiving the proper skilled care both before and after your surgery is critical for ensuring those happy results. Here at Lickteig Family Eye Care, we're more than happy to provide the any surgical co-management your eyes may need. There are many different types of eye surgery, ranging from vision correction techniques to laser procedures for treatment of retinal diseases. Two of the most common types of eye surgery are LASIK and cataract surgery. These procedures are extremely popular because of their ability to improve vision dramatically -- sometimes overnight. In LASIK, a surgical laser makes a flap in the outer corneal tissue so it can reshape the inner corneal tissue to match your ideal corrective vision prescription, making corrective lenses unnecessary under most circumstances. A laser can also be used to make a tiny incision in an eye's lens capsule, permitting an ultrasound device to break up a diseased lens. The lenses in then fished out and replaced by an artificial lens -- and this lens, too, may be configured to correct refractive errors. As safe and efficient as these surgeries are, not everybody is an ideal candidate for them. That's why a pre-surgical evaluation at our clinic makes such good sense. 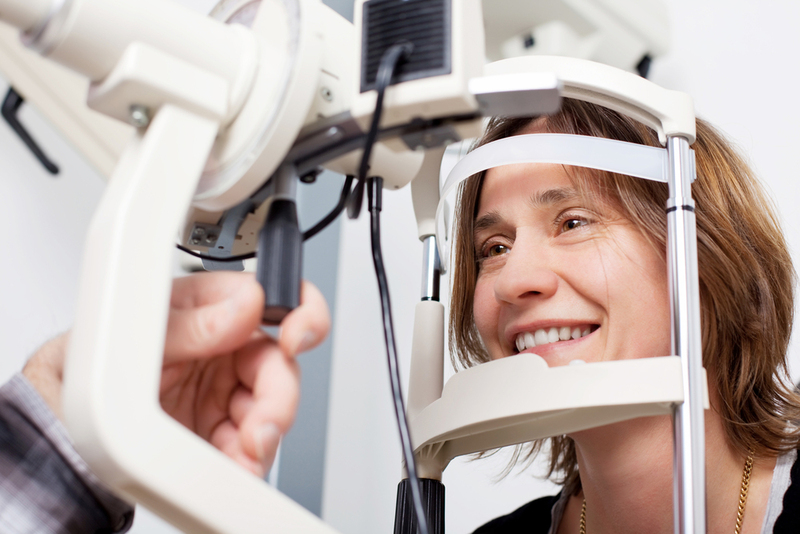 Our optometrists can weight factors such as your age, the stability of your current vision, and any underlying health issues that might make you prone to complications. For instance, if your corneas are too thin to allow for the flap required by LASIK, you might be better suited to another refractive correction procedure called PRK. We can use sophisticated corneal topography techniques to make this determination. While your vision may be noticeably improved almost immediately after surgery, the entire recovery process takes time. We will examine your eyes and vision the day after your procedure, with periodic follow-ups in months to come to make sure your eyes are healing well. If your new artificial lenses seem to be fogging up with "cataracts" of their own (an occasional side effect in some individuals), we may recommend easy follow-up procedure called a YAG laser capsolutomy to eliminate the problem. Contact Our Local Eye Doctor Today! Our eye doctors at Lickteig Family Eye Care are ready to help you experience the best possible eye surgery outcome. Call our Medford, Dedham, Boston, or Natick office today!